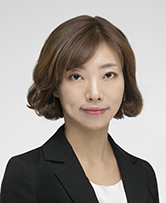 Dr. Jihye Park’s research interests cover Global Navigation Satellite System (GNSS) positioning/navigation and GNSS remote sensing. GNSS positioning/navigation includes topics on Real Time Kinematic (RTK), Network RTK (NRTK), Precise Point Positioning (PPP), and Inertial Navigation System (INS). Park focuses on advanced algorithms that are used to improve the performance of positioning and navigation systems under harsh environments. GNSS is also capable of observing the atmosphere, referred to as GNSS Remote sensing. Dr. Park's ongoing research topics include utilizing GNSS to monitor ionospheric disturbances to observe geophysical events such as natural hazards or artificial explosions.